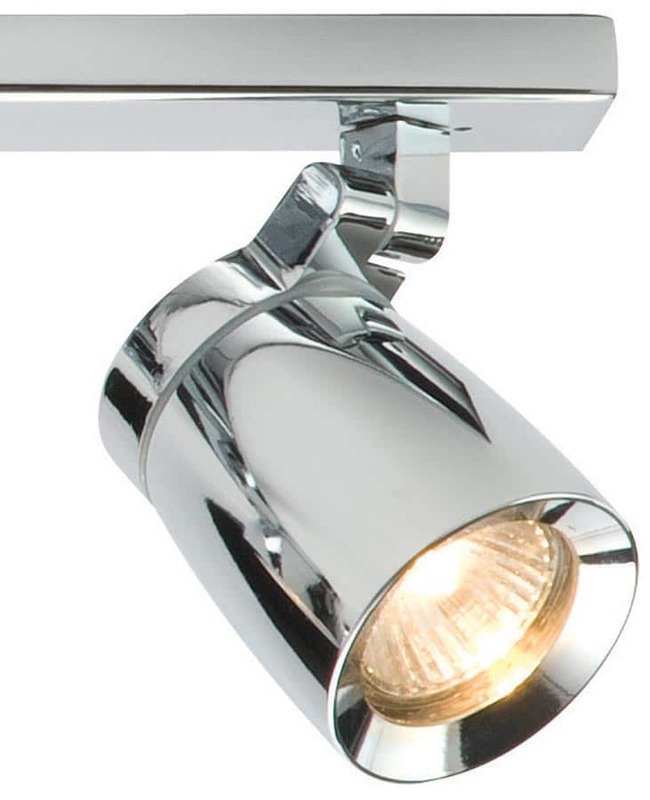 The stunning Knight triple bathroom ceiling spotlight bar combines a high quality polished chrome finish, sleek design and functional form. With its fully adjustable heads, this item offers a flexible solution to your lighting requirements. Contemporary polished chrome bathroom ceiling spotlights, with a rectangular ceiling mount and three adjustable direction spotlight heads. Other products in the stylish Knight lighting range can be viewed below and includes a three-light circular ceiling spotlight and matching single ceiling spotlight.